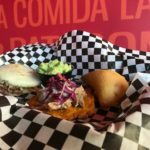 La Cocinita (“The Little Kitchen”) serves contemporary Venezuelan-inspired street food. 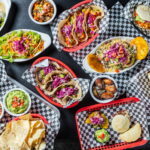 The fresh, gourmet cuisine ranges from traditional Mexican tacos to less familiar Venezuelan fare such as arepas and cachapas. 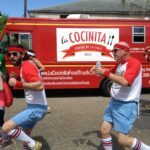 Established in 2011, La Cocinita has expanded to two food trucks (one in New Orleans and one in Chicago), a restaurant in Evanston IL, and a restaurant stall in the Pythian Market in NOLA. 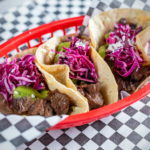 La Cocinita has been featured on several major network TV shows, including CNBC’s Restaurant Start-Up, Food Network’s Eat Street, and the Cooking Channel’s Taco Trip with Aaron Sanchez. Benoit competed on Season 11 of Bravo’s Top Chef in the Padma’s Picks series and served as the personal chef for Sylvester Stallone. 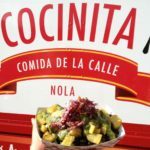 La Cocinita has also been featured in the Wall Street Journal and has been voted both the best food truck in New Orleans and one of the 101 best in the country. 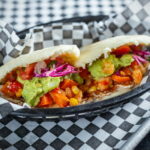 Born and raised in Caracas, Chef Benoit Angulo has been making arepas, a Venezuelan specialty at La Cocinita, since he was 9 years old. This early passion for cooking inspired Benoit to attend culinary school as an adult. Benoit then moved to the States in 2001 to pursue his culinary career. Rachel and Benoit met while working together at Commander’s Palace, a fine-dining restaurant in New Orleans. 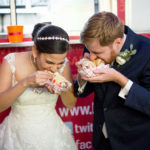 While enjoying drinks at a neighborhood bar late one night after a long shift, Rachel and Benoit became hungry, not having eaten since their 5 pm pre-shift meal. Disappointed with the absence of nearby late-night food options, Benoit pitched the idea of starting a food truck together. 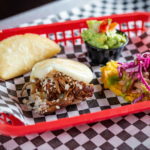 Benoit envisioned drawing from the feel and flavors of late-night street food carts lining a strip in Caracas referred to as “Calle del Hambre” (“Hunger Street”). 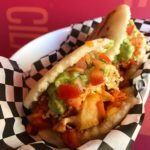 Benoit introduced Rachel to his arepas, and soon thereafter, she fell in love with both Benoit and his cooking. 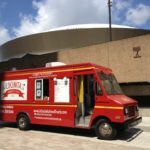 The New Orleans truck opened for business on November 19th, 2011, at the same bar where it all started…and the rest is history!